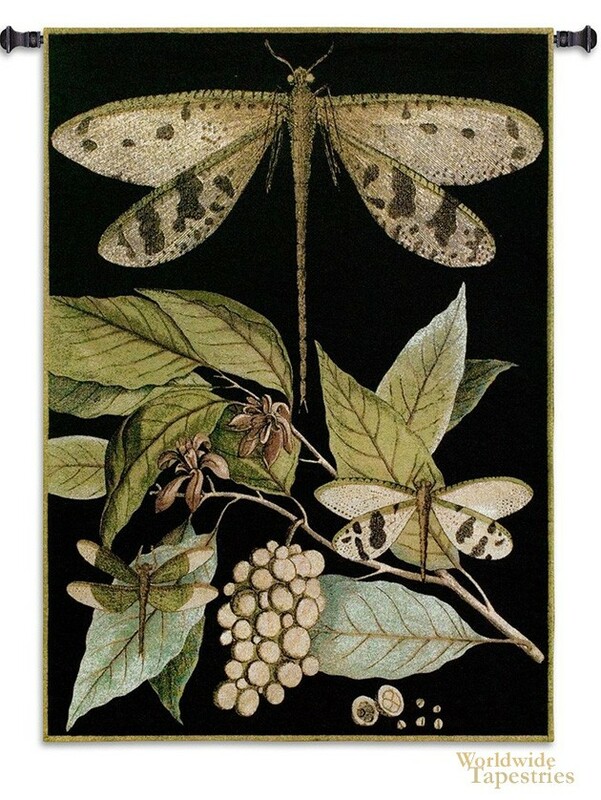 This tapestry "Whimsical Dragonfly I" shows a dragonfly in dark background. This composition shows smaller companion dragonflies or damselflies on tropical leaves. The dragon fly is a prominent creature of the tropics and come in a variety of colors. Here we see the brown and green variety in a modern work. This tapestry "Whimsical Dragonfly I" is backed with a lining and has a tunnel for easy hanging. Note: tapestry rod and tassels, where pictured, are purchased separately.